Note:- 1999 - V2 records releases ‘Play’ by electronic-dance artist Moby. The album, which samples the Alan Lomax collection of field recordings, will go platinum & spend more than 70 weeks on the pop charts. 1/2/ Terry Garland – Rollin & Tumblin’ and Goin’ down slow. The one to blame. 1996. Trad.arr.Morganfield.+ J.B.Oden. 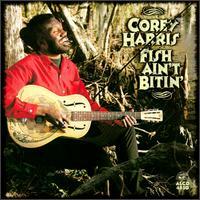 3/ Corey Harris – Preaching blues. Fish ain’t biting. 1997. B. 1969, Denver. Corey Harris has earned substantial critical acclaim as one of the few contemporary bluesmen able to channel the raw, direct emotion of acoustic Delta blues without coming off as an authenticity-obsessed historian. Although he is well versed in the early history of blues guitar, he's no well-mannered preservationist, mixing a considerable variety of influences — from New Orleans to the Caribbean to Africa — into his richly expressive music. In doing so, he's managed to appeal to a wide spectrum of blues fans, from staunch traditionalists to more contemporary sensibilities. Learnt guitar at age 12 & first influence was his mother’s Lightnin’ Hopkins records. Studied African linguistics in Cameroon before returning to U.S. to teach Enlish & French in Louisiana. Started playing coffee houses spare time before being discovered. Has made 5 albums, all are exceptional. 4/ Mem Shannon – Wrong people in charge. 2nd blues album. 1997. B. 1959, N.Orleans. By age 15 was an exceptional blues guitarist, inspired by his father’s blues albums. Father died in 1981, so he took a job as a taxi driver. Played blues with his group, in his spare time. Worked hard around the clubs until making his first album in 1995. Has made 4 in total, all being very well reviewed. 5/6/ Jelly Roll Kings - That’s all right mama and Sitting on top of the world. Made up of Big Jack Johnson, Frank Frost & Sam Carr (son of Robert Nighthawk). All record in their own right but have made 2 exceptional Delta juke joint flavoured albums together. (The 1st in 1979, the 2nd in 1997). (Frost died in 1999 at age 63). 7/ Alvin Youngblood Hart – Illinois blues. 1998. Territory. S. James. B. 1963, Calif. Guitarist, singer and songwriter Alvin Youngblood Hart is continuing in the path laid down by acoustic blues practitioners like , and other 1990s blues revivalists, but his roots go back much further than that, to the classic stylings of , , and . 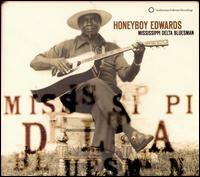 Learnt the story of the blues from his grandparents who he regularly visited back in the Mississippi Delta. Has made 4 albums, all of them being nominated for numerous W.C.Handy blues awards. 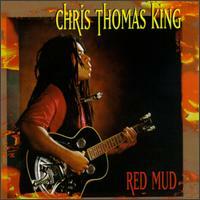 8/9/ Chris Thomas King – Red mud. and Death letter blues. Red Mud 1998. King. / Son House.B.1964, La. Initially known for his audacious fusion of blues and hip-hop, Chris Thomas King reached a whole new audience with film O Brother, Where Art Thou?, not only appearing on the award-winning soundtrack but playing a prominent supporting character as well. Despite the much-celebrated, down-to-earth rootsiness of O Brother's music, King had previously been a determined progressive, hoping to reinvigorate the blues as a living African American art with a more contemporary approach and adamantly refusing to treat it as a museum piece whose "authentic" forms needed careful preservation. King eventually modified that approach to a certain degree, attempting to create a more explicit link between blues tradition and the general musical present. Has made 11 albums, the early ones lacking any real sense of direction, but since the mid ‘90’s, seems to have found his own style. 10/ Guy Davis – Georgia flood. You don’t know my mind. 1998. Davis. B.1952. N.Y.C. Updating the rural blues tradition for the modern era, Guy Davis was among the most prominent ambassadors of African-American art and culture of his generation, additionally winning great acclaim for his work in the theater. The son of the noted actors, directors and activists and , he was born in New York City on May 12, 1952; though raised in the city, Davis was frequently regaled with stories of Southern country life as a child, and over time became so enamored of the music of , , and others that he taught himself guitar. As a 13-year-old experiencing his first concert, Davis' own fate as a bluesman was sealed, especially after he learned his distinctive fingerpicking style from a nine-fingered guitarist he met on a train traveling from Boston to New York some years later. In 1978, Davis recorded his debut LP , produced for the Folkways label with the assistance of the legendary ; around the same time he also began pursuing a career as an actor, landing a recurring role on the daytime soap One Life to Live and also appearing in the 1984 hip-hop film Beat Street. After years of acting, he made his next album in 1995 & has made 4 more since. 11/ Rory Block – Bo weavil blues. Confessions of a blues singer. 1998. Patton. 12/ Bob Dylan – High water. Love & Theft. 2001. Dylan. B. 1941, Minnesota. Promising, middle aged singer/ songwriter of Protest, Folk, Blues, Country, etc. !! 13/ Dave MacKenzie - Steel guitar rag/I’m so glad. Old, new, borrowed & blue 2001. Weaver/ James. B.Excellent & fairly authentic young Delta blues player who is updating the tradition for the 21st century. 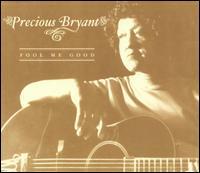 14/ Precious Bryant – Blues around my bed. Fool me good. 2002. Trad. B. 1942, Ga. Precious Bryant has performed rural acoustic blues throughout her native state for over 30 years in a variety of settings, from the Baptist church to folk festivals to clubs and concert halls. As a female practitioner of a rapidly fading folk style, Bryant has a unique musical voice, if only by virtue of survival. Was finally persuaded, in 2001, to make her debut album which is rooted in the Delta tradition of Folk/Blues. 15/ Asie Payton - Livin’ in so much pain. Just do me right 2002. (Rec.1997) Payton. B.1937, Miss. D.1997, Miss. Though he was also a bluesman, most of Asie Payton's 60 years were spent as a farmer, driving a tractor on his land in Holly Ridge, MS. Living in a shotgun shack and working his fields took most of Payton's time, but he also wrote and performed blues originals, playing at places like the local grocery store, 's club, and Jimmy's Auto Care. Two of his club performances were recorded by Fat Possum records, with the intention of using them as demo tapes for a studio album. Payton's ties to his land were strong, however, and the label was unable to get him into the studio before he succumbed to a heart attack in 1997. Two years later, Fat Possum released the tapes as Payton's first and only album, . 16/17/ Kenny Brown – Cocaine Bill and France Chance. Stingray 2003. Trad./Trad-Calicott. Played for years in R.L.Burnsides backup band, before his talent finally got him a deal. Plays rural & juke joint blues. A huge talent! 18/19/ John Hammond jr – Slick crown Vic and No chance. Ready for love 2003. Hammond./ Halby-Hidalgo. B. 1942, N.Y.C. Son of Blues archivist & producer, John Hammond Sr. Has been playing the blues since a very young age. One of the great modern day blues guitarists & the leading interpreter of Robert Johnsons music. Early 1990’s made a documentary ‘Search for Robert Johnson’. First recorded in 1962 & has made about 30 albums since. 20/ David ‘Honeyboy’ Edwards – Bad whiskey & cocaine. Delta Bluesman. 1994. Williams. Final track is by the oldest man still playing the blues & who is now (in 2010) 95 years old!